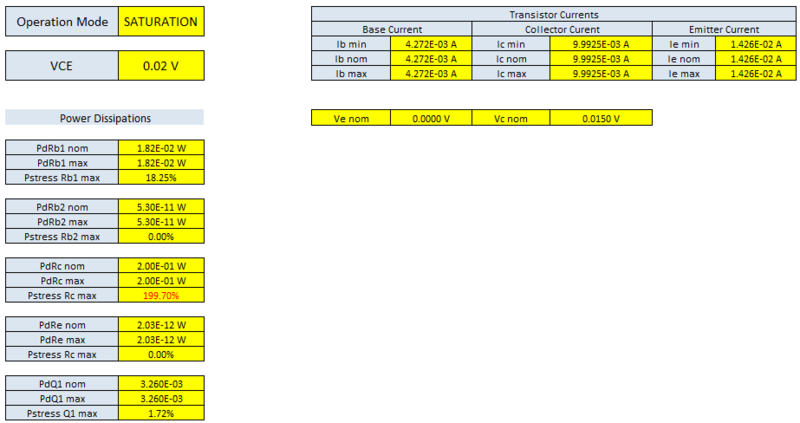 In this article I will discuss the feature of the NPN transistor biasing tool and checker in excel that I made. This is very useful for design engineers that don’t want to perform simulations and long manual calculations. This NPN transistor biasing tool and checker is also very useful for students to verify if their computations on their assignments are correct. All you need to do is to have an excel application in your PC and then you can use this tool. This is a versatile tool that can be used for both linear and switch NPN circuits. 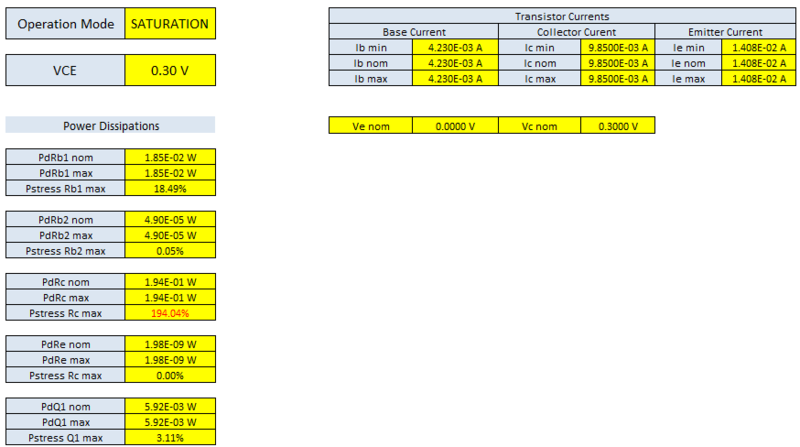 This can be used for voltage divider, self-bias, emitter bias and emitter follower configurations. Continue on reading below to know the detailed applications. This is the input section. You must enter all given here. 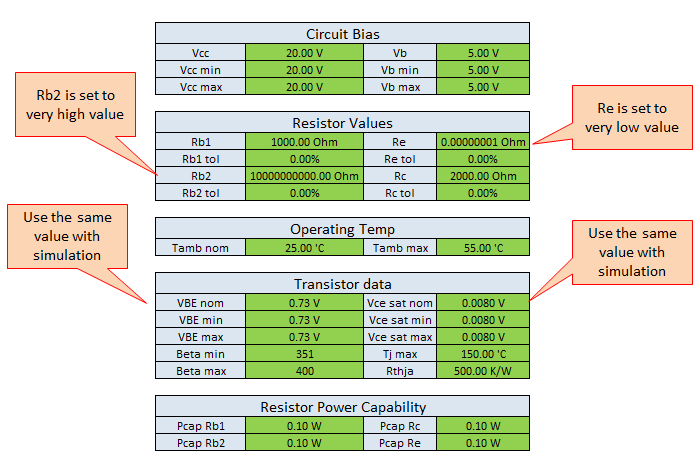 Supposing, you are only after for the nominal values, you may set the resistor tolerances to 0%. You may not mind putting or changing values on the Vcc min and max, Vb min and max, VBE min and max and VCEsat min and max. For the beta, you can enter the datasheet minimum beta provided in the beta min cell. This will be the one called out for the nominal and minimum value computations. So, if you know the exact beta on a specific point of operation, you may enter it in the beta min section. 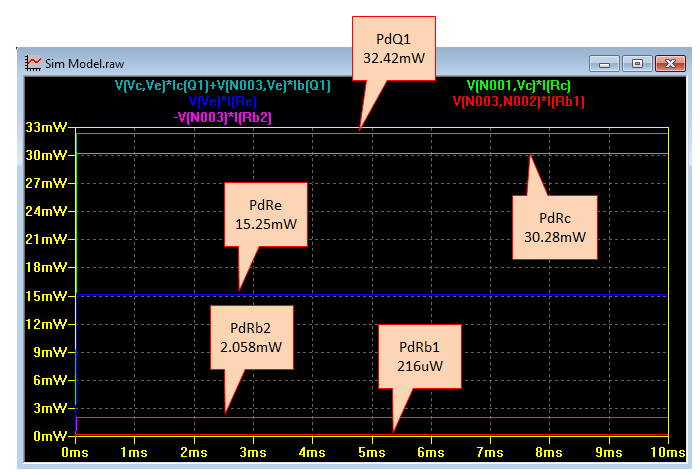 Enter the maximum value of beta per datasheet on the beta max field. 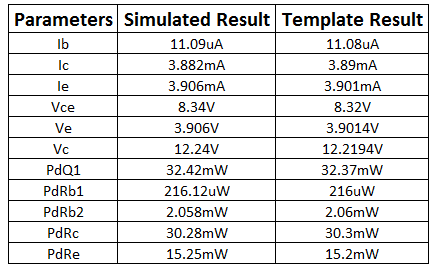 If you want to see the power stress on each resistor, you must consider entering the package power dissipation on each resistor on the respective fields. 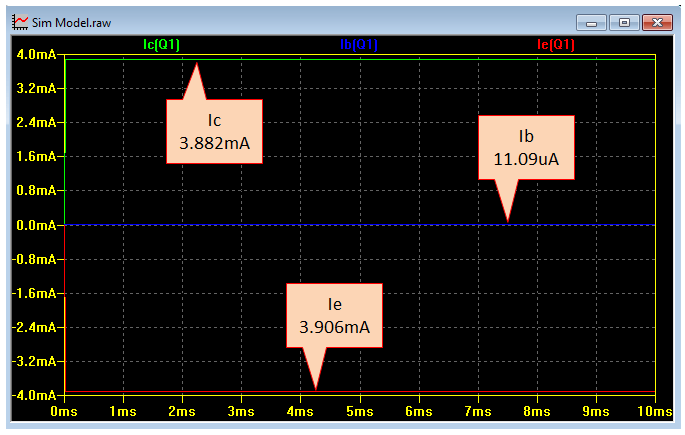 For example, a 0603 size resistor has a power capability of 0.1W; so input this value to the corresponding field. In order to know the power capability of the NPN at both nominal and maximum operating ambient temperature, you must enter the values at the respective sections. The nominal ambient temperature is 25’C. The maximum operating ambient temperature is it’s up to you. For instance you want to expose the design to 120’C surrounding temperature, enter it in the specified field. Tjmax and Rthja are informations needed to compute for the power capability of the NPN at given Tamb max. Vce sat is can be taken from the datasheet of the NPN. 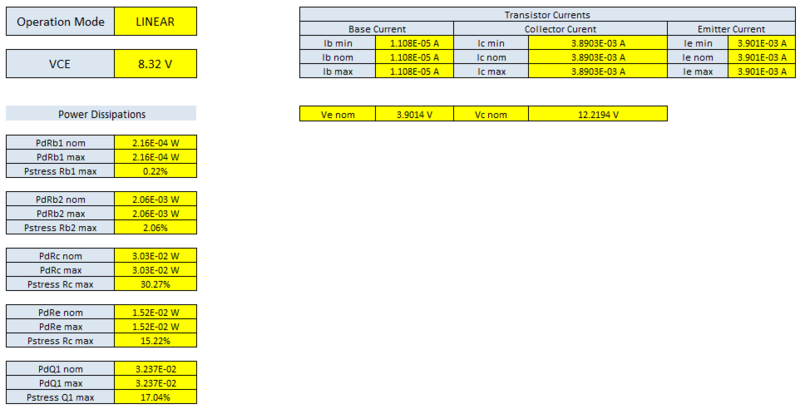 Input values here so that the VCE field in the result section will return a value when the circuit operation is saturation. The “Operation Mode” indicates the operation if saturation or linear. The VCE field returns the VCEsat min declared in the user interface if the operation is saturation. It will give the computed value if the operation is linear. 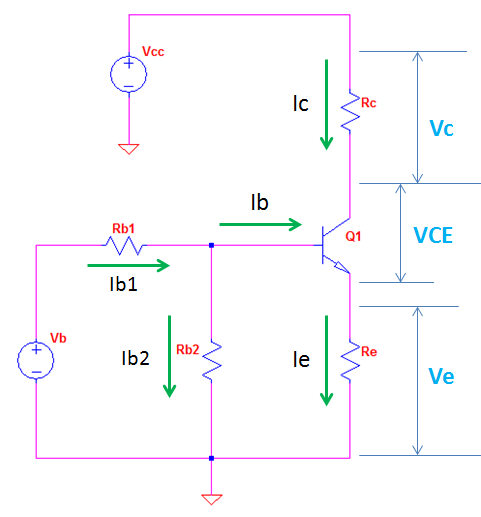 Ib, Ic and Ie are the computed base, collector and emitter currents. 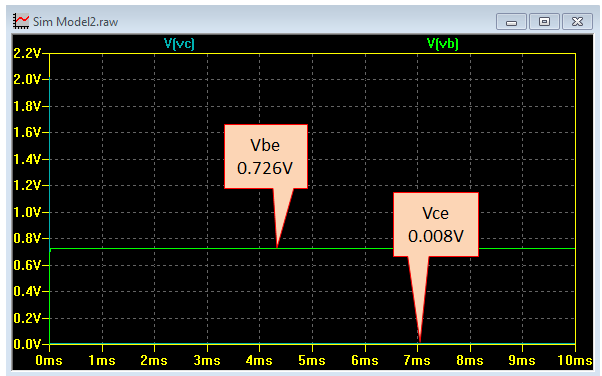 Ve and Vc are the computed emitter and collector voltage. 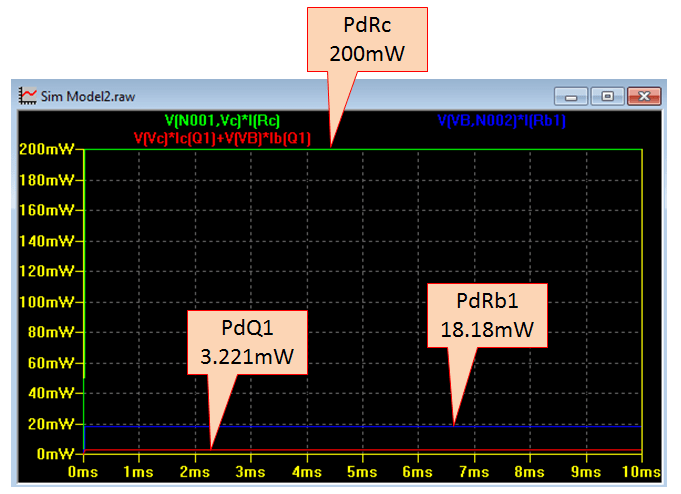 PdRb1, PdRb2, PdRc, PdRe and PdQ1 are the computed power dissipations of Rb1, Rb2, Rc, Re and the NPN. Pstress is the power stress of the devices. If Pstress exceeds 100%, the font will change to red. For a reliable product, the Pstress is may be maintains at 80% only. Above is a model circuit of this NPN transistor biasing tool and checker. 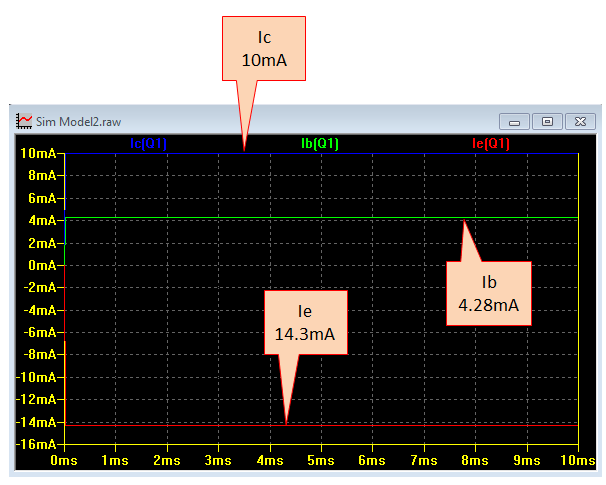 If there is no emitter resistor Re, make the value of Re in the template very low like 0.000001 ohm (it is up to you). Do not make it zero to avoid calculation error. 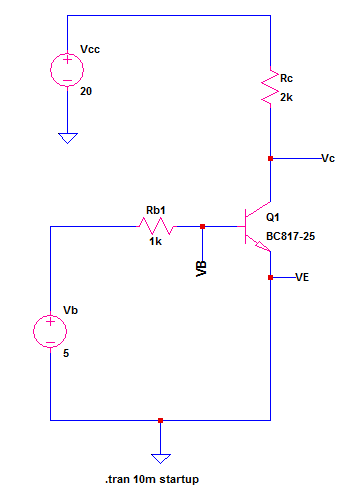 If there is no Rb2, make the Rb2 value very high in the template to simulate an open circuit. If there is no Rc, make the value very low but not zero to avoid computation error. If there is no Rb1, make the value very low but do not make it zero to avoid calculation error. 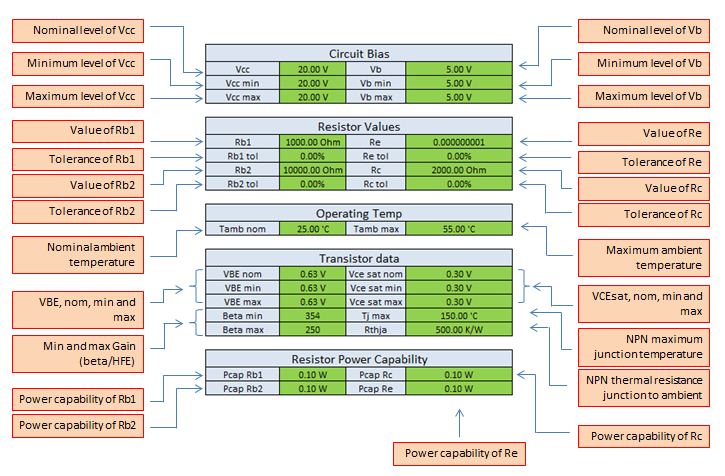 This section verifies the accuracy and the integrity of this NPN Transistor Biasing Tool and Checker. We are going to try the circuit for both linear and saturation operation. The objective here is to make the template match the simulation. We will consider the nominal values only. Thus, we need to get the input values the same for apple to apple comparison. In the simulation below, the NPN used is BC817-25. 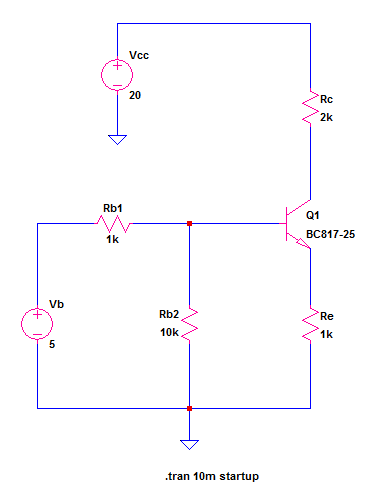 The measured beta is 351 on the specific circuit below. 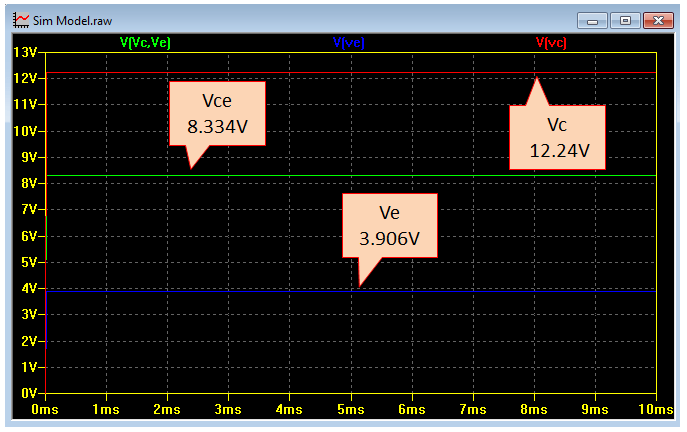 The measured VBE is 0.634V. Can you tell me the password for the NPN biasing template? I would like to modify it so that the Vb is equal the Ve plus Vce. This biasing arrangement helps reduce the effect of Hfe on the bias setting.